Since 1923, Schokinag Chocolate Co., name stands for the highest quality product at an exceptional value ! Schokinag 70% is exquisite Dark Bitter Sweet Chocolate Couverture ! Ideal for enrobing, molding and ganache fillings. Couverture is a higher-grade of chocolate than regular chocolate. Couverture contains a higher percentage of cocoa butter, making it more fluid and ideal for dipping, enrobing and molding. 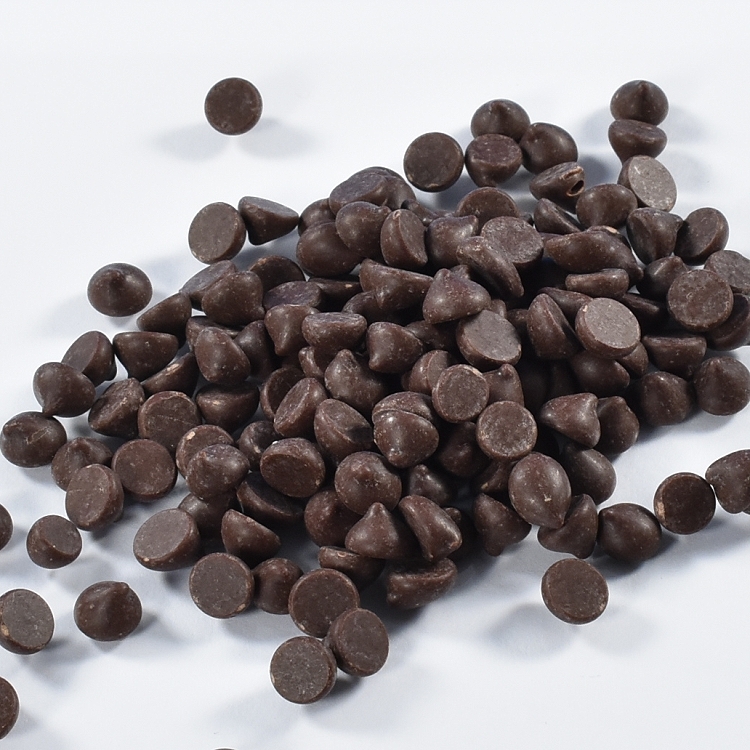 This higher content of cocoa butter creates a brilliant shine and crisp snap to the finished candy. Tempering is required. Chocolate is formed into small wafers for easy accurate measuring and quick melting. Tempering instructions: Melt: 113/122F, Crystallization 81F, Working 88/90F degrees. 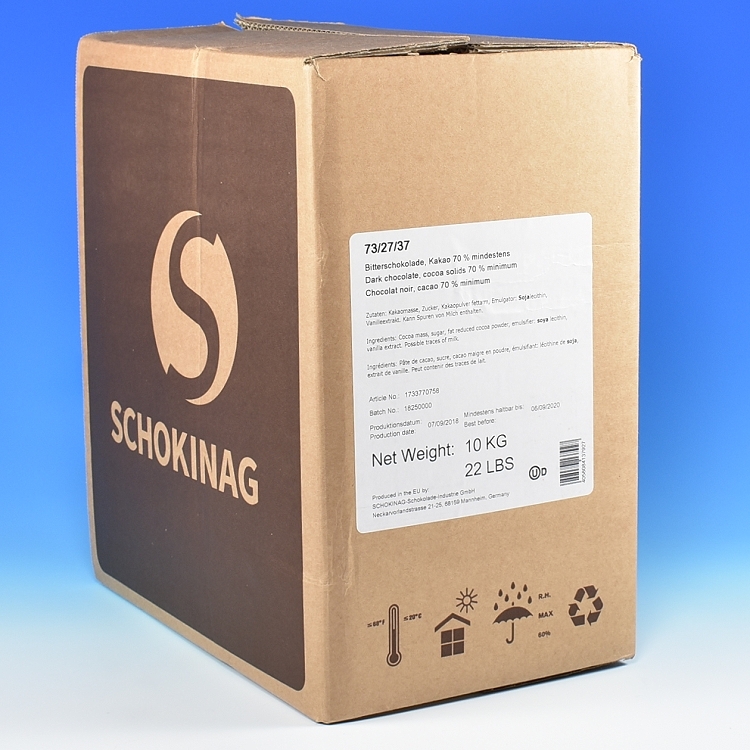 Schokinag has been manufacturing chocolates for more than 90 years and is now recognized as one of the key manufacturers of industrial chocolates in Europe.